Our range of products include sleepcube auto bilevel. 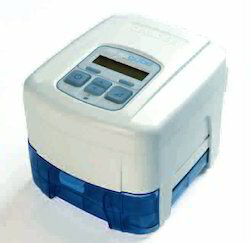 We are reckoned as major entity engaged in offering next generation Sleepcube Auto Bilevel. The user friendly device is specially procured to provide extra level of comfort to the bilevel users. Its innovative technique is trusted by many to enhance the breathing quality with spontaneous respiration process. Ideal for patients suffering from chronic respiratory failure, difficulty breathing, or obstructive sleep apnoea the non-invasive device is developed as per set industry standards and procured from renowned entities. Further, we are providing the quality approved product at the best price.